Marasco (Marek Walas) was one of the youngbloods in Polish dance music scene. Altough unlike his collegues, he never leaved underground of music producing up until now. Armed with years of experience, he decided that the rise of Melbourne Bounce scene is the best time for a fresh start, so he released his debut single "P.U.M.P." on the US market. As a mix of his favourite hard sounds and catchy melodies, the single got a warm reception from Melbourne sound lovers, and attention of top Australian dance music community. 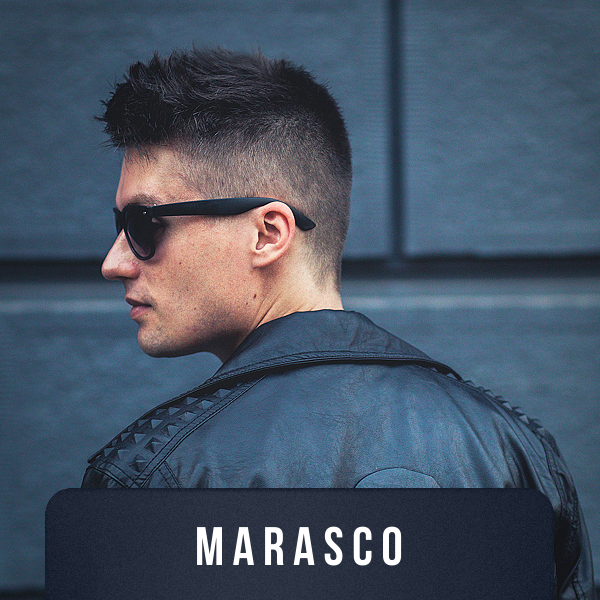 But Marasco was raised on eurodance, rave, and hands up, so he combined those old European themes with the sounds of the future into his another single - "F*ck Friday", with also got positive reviews and appeared on a vast amount of electro house compilations. Now he found his place in Central Stage of Music family and is working on a new projects. He realises, that his music may be defined as "cheesy". But he's doing it with premeditation. He's 80's kid anyway.